Saturday's semifinals featured top seed and three-time BB&T Atlanta Open champion John Isner against fellow American wildcard Reilly Opelka, while No. 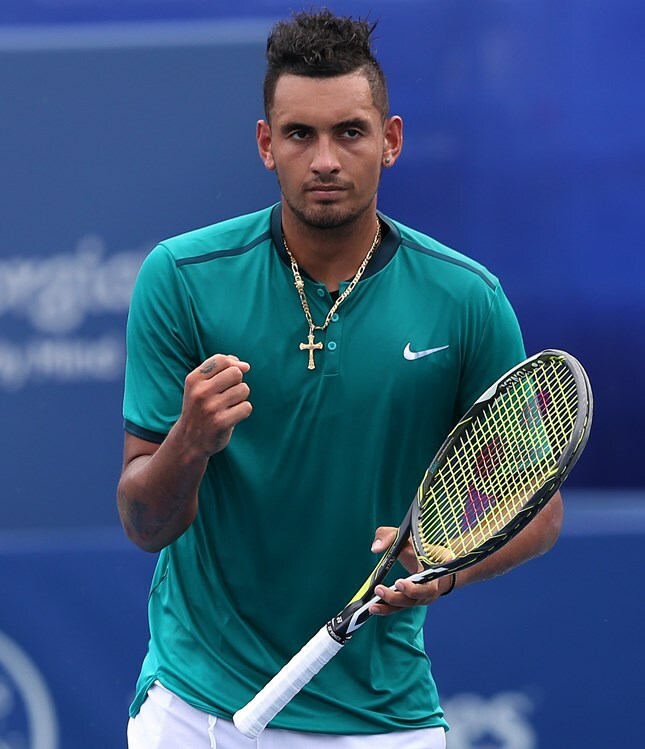 2 seed Nick Kyrgios is set to play Japanese No. 2 Yoshihito Nishioka. Opelka and Nishioka are appearing in their first career ATP World Tour semi-final. This is the first time since 2009 that three players 21 & under have reached an ATP World Tour semifinal. Opelka (18), Nishioka (20) and Kyrgios (21) join 31-year-old Isner in the semi-finals. The last trio, 21 and under to accomplish the feat was Novak Djokovic (21), Andy Murray (21) and Juan Martin del Potro (20) at ATP Masters 1000 Miami in 2009. Kyrgios won 78% of his service points as Nishioka struggled on return in the first set. The Aussie earned a break at 3-2 to take the first set and appeared to be cruising. However, Kyrgios’ frustration got the best of him as Nishioka an early break in the second set to force a decider. The ATP World Tour No. 18 felt confident coming into the BB&T. Kyrgios said, “I got here pretty early (in the week) and have prepared pretty well. I’m glad I’m pushing through. I'm looking forward to playing him." The night session was the first career meeting between Isner and Opelka. The 6-foot-10 Isner has the more experience, as he has played in Atlanta each summer since the event debuted in 2010. The No. 1 American is the top seed for the fifth consecutive year, coinciding with the tournament’s fifth staging at Atlantic Station. Isner, who led nearby University of Georgia to the 2007 NCAA Team Championship, is playing in the semi-finals in Atlanta for the seventh consecutive year. He came into the match with a 14-match winning streak in Atlanta. Fans watched in awe as the two big guys turned Stadium court into a serve clinic. In just his first three service games, Isner had already reached 10 aces. That wouldn’t change much as the top ranked American would not drop a service game the entire match. Breaks for that matter did not come often, as Isner would only break Opelka twice. Though Isner would take the match, it didn’t come without a fight as the 18-year-old wildcard played like a seasoned veteran. The first set would have the two holding serve each game. It would come down to a tiebreaker in which Isner raced to a 5-3 lead. Opelka wouldn’t surrender as he mustered up the shots and took a gift from Isner in the form of a double-fault the first set 7-6. The second set seemed like it would be more of the same until Isner forced one of the only two breaks in the match. This would be the only space he would need, as he then took the second set 6-4. As the third set began, the mental aspect of the game starting to affect Opelka as unforced errors crept in. He would drop a service game at 2 games apiece and Isner didn’t let off the gas taking the third and final set 6-2. "Any set could come down to a few points here and there and that is what happened," said Isner. Opelka knows he has work to do, as he is only 18. "His serve was the difference," said Opelka. "John's serve was too big. I was expecting it and I still couldn't touch it."